Despite the state's sparse population it was once home to many, now-classic railroads as well as the legendary "two-footer" narrow-gauge logging lines. The Maine Central Railroad (MEC) was one such famous carrier. It was similar in nature to the Bangor & Aroostook, serving predominantly its home state and relying on a traffic base consisting of natural resources. At its height the MEC never reached 1,000 miles in length but did serve the important coastal cities and industries of southern Maine while extending westward into central New Hampshire, and northeastern Vermont. Given its location the MEC had only a few surrounding competitors, the Boston & Maine and aforementioned Bangor & Aroostook. Until its 1980 buyout by Guilford Transportation (which also went on to acquire the B&M and Delaware & Hudson) the MEC carried on as a reliable and efficient transportation artery. Today, Guilford operates under the guise of Pan Am Railways but its subsidiaries still survive as paper entities. 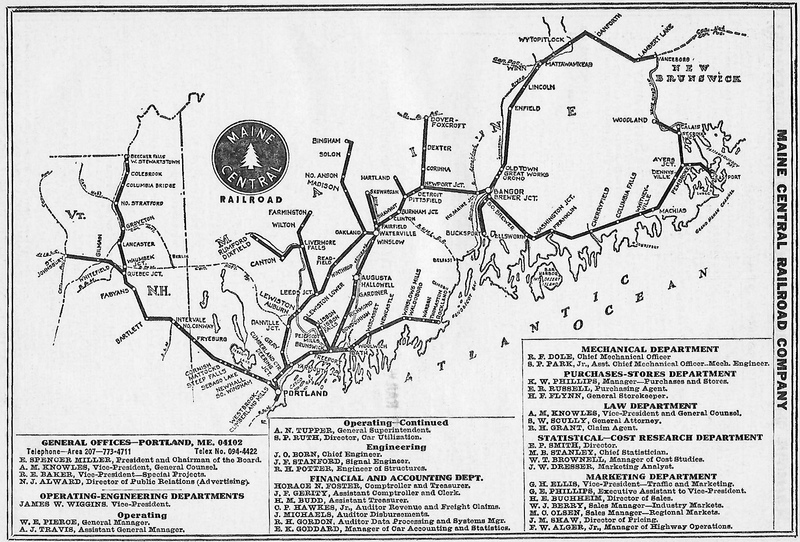 Maine's three railroads operated within different parts of the state; the Boston & Maine was situated only to the south reaching Portland, the Bangor & Aroostook served the central and northern areas from Searsport to Van Buren, and finally the MEC operated within the central and coastal region from Vanceboro to Portland via Bangor. The history of the Maine Central Railroad began when the Kennebec & Portland and Androscoggin & Kennebec Railroads merged on October 28, 1862. 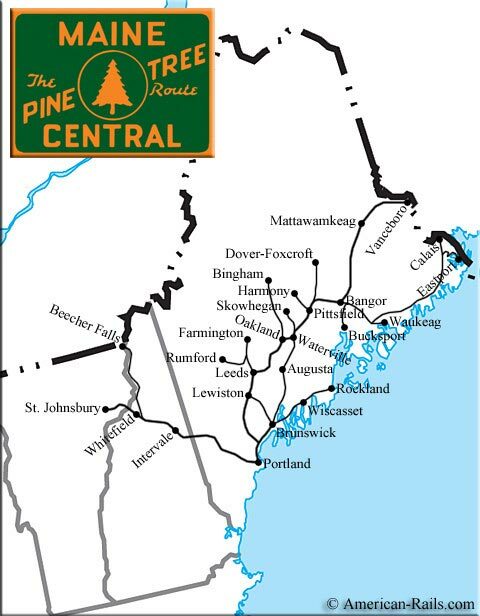 According to Mike Schafer's book, "Classic American Railroads: Volume III," the K&P was chartered on April 5, 1845 and opened a line between Waterville and Yarmouth (near Portland) via Augusta. The nearby A&K was chartered on March 28, 1847 and constructed a main line running all of the way from Bangor to Portland via Lewiston. This setup provided the new MEC with two alternatives between Bangor and Portland; the ex-K&P line became known as its "Lower Road" while the former A&K route was given the moniker "Back Road." Bangor & Aroostook, "Serving Northern Maine"
Central Vermont, "The Green Mountain Route"
New York, New Haven & Hartford, "The Friendly New Haven Railroad"
Rutland Railroad, "The Green Mountain Gateway"
Initially, the MEC utilized a gauge of 5-feet, 6 inches which was known as the "Portland Gauge" or "Canadian Gauge." This odd arrangement was short-lived, however. and the MEC soon converted to standard-gauge (4 feet, 8 1/2 inches) for more fluid interchange with the Boston & Maine at Portland. Over the next 40 years the MEC continued to expand until reaching its largest size of nearly 1,000 miles by the early 20th century. Its first growth occurred with its 1882 lease of the European & North American Railroad between Bangor and Vanceboro along the border with New Brunswick, Canada. The E&NO was originally chartered on August 20, 1850 to build across Maine and through parts of New Brunswick. It completed the segment between Bangor and Vanceboro in October of 1871, which later became known as European & North American Railway in 1880 following bankruptcy. The MEC officially leased the road on April 1, 1882 while the Canadian Pacific acquired the E&NO's Canadian lines. The CP used its trakage to open a main line from St. Johns, New Brunswick to Montreal, Quebec via central Maine. This route became known as its International of Maine Division. 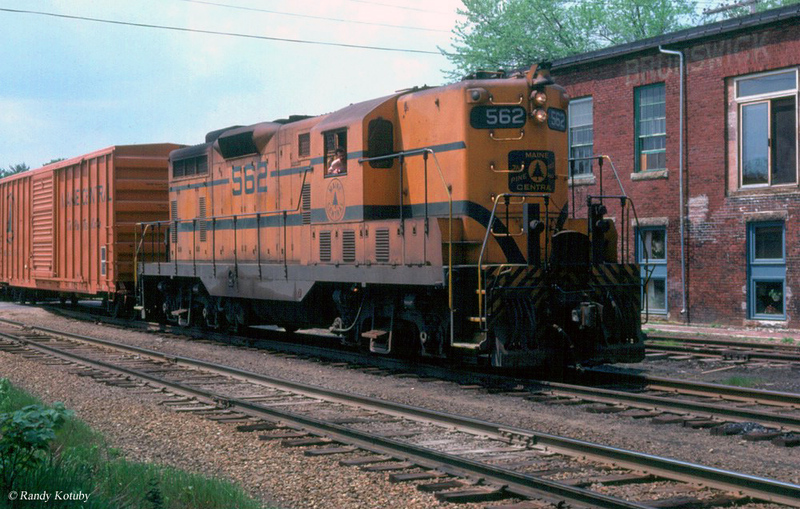 To connect its two segments the CP acquired trackage rights over the MEC between Vanceboro (Milepost 249.1) and Mattawamakeag (Milepost 193.0), a distance of 56.1 miles. Looking west, the MEC's only major expansion outside of its home state occurred with its lease of the Portland & Ogdensburg Railroad in 1909. The P&O was originally chartered on February 11, 1867 to open rail service from Portland to Fabyan, New Hampshire. The line was completed on August 7, 1875. On that same day the P&O took over the charters of three small railroads to extend service to St. Johnsbury, Vermont and beyond. Through a series of bankruptcies and reorganizations it became known as the Portland & Ogdensburg Railway on June 8, 1884, subsequently leased by the Maine Central east of St. Johnsbury, Vermont on August 20, 1888. It became part of the MEC's fabled Mountain Division (the Portland Division's Mountain Subdivision after 1925), totaling 131.3 miles and offering a connection at first with the Boston & Maine, and later the St. Johnsbury & Lake Champlain. 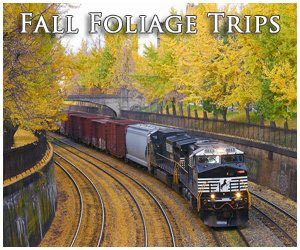 This famous stretch of trackage was an important component of the Maine Central for many years. As mentioned, it began as the Portland & Ogdensburg Railway whose promoters envisioned a railroad handling freight from the Great Lakes to the coastal port of Portland. According to Philip Hasting's article, "St. Johnsbury & Lake Champlain" from the May, 1947 issue of Trains Magazine, groundbreaking on the P&O's Vermont Division extending westward from St. Johnsbury, Vermont was launched in 1869. It was completed between Lunenburg (near the New Hampshire border) and Swanton near the shores of Lake Champlain in 1877. The overextended P&O soon after entered receivership, with the Boston & Maine acquiring the trackage west of St. Johnsbury and the MEC picking up the eastern segment into Portland. In 1883 a final link was opened between Swanton and Rouses Point, Vermont where a connection was established with the Ogdensburg & Lake Champlain. The O&LC, a later component of the Rutland, extended to Ogdensburg, New York along the St. Lawrence River, a major shipping route to the Great Lakes thus completing the original vision of the P&O. Despite the initial failures of the P&O its dream of an inside gateway to Portland did prove a successful venture, especially for the Maine Central. The Pine Tree Route handled a wide variety of freight on this spectacularly scenic route, ranging from milk to merchandise. In many cases the heavy trains and stiff grades required the MEC to double-head steam locomotives, or add helpers. Even into the diesel era, four or five locomotives were often required, sometimes requiring assistance. After Guilford's takeover the company began a system-wide pruning of the former roads. 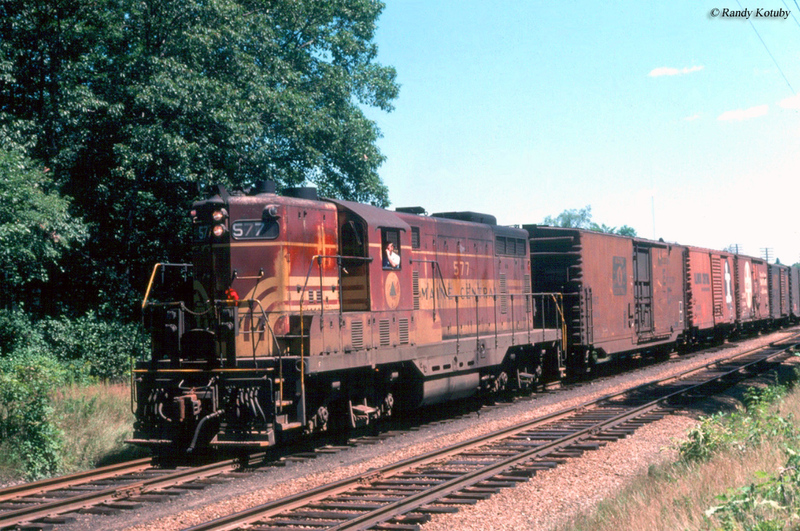 The Maine Central's Mountain Division was one such victim of these cutbacks, witnessing its last through freight between St. Johnsbury and Portland in September of 1983. 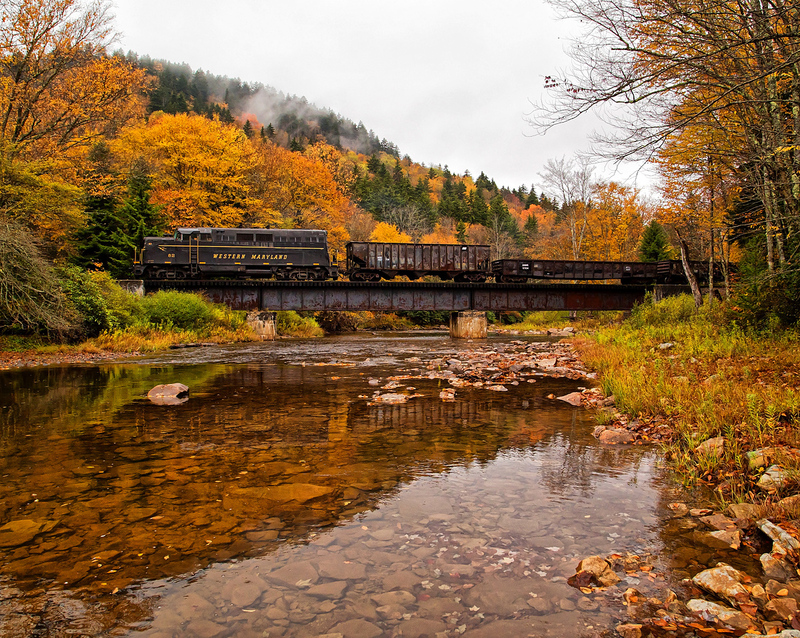 During the mid-1990s the Conway Scenic Railroad reactivated part of the route around Crawford Notch, New Hampshire for tourist service and it has been widely popular ever since. Today, talk remains about possibly reopening the entire route for freight service, which is state-owned. Part of the Mountain Division was the 55-mile Beecher Falls Branch which extended from Quebec Junction (near Fabyan) to Beecher Falls. It was originally built by the Upper Coos Railroad, leased by the MEC in 1890 (at one point the MEC extended beyond Beecher Falls all of the way to Lime Ridge, Quebec by leasing the Hereford Railway, which expired in 1925). The MEC continued to expand after this time reaching places such as Rockland, Farmington, Bucksport, Harmony, Bingham, Woodland, Calais, Lewiston Lower, Skowhegan, and Dover-Foxcroft via branch lines. The company also boasted the easternmost rail terminal in the United States at Eastport, Maine (a noteworthy footnote although the branch, running via Ayers Junction, did not produce large volumes of freight). Mr. Schafer's book notes that as of 1950 the MEC maintained a system of 981 miles with its headquarters in Portland. 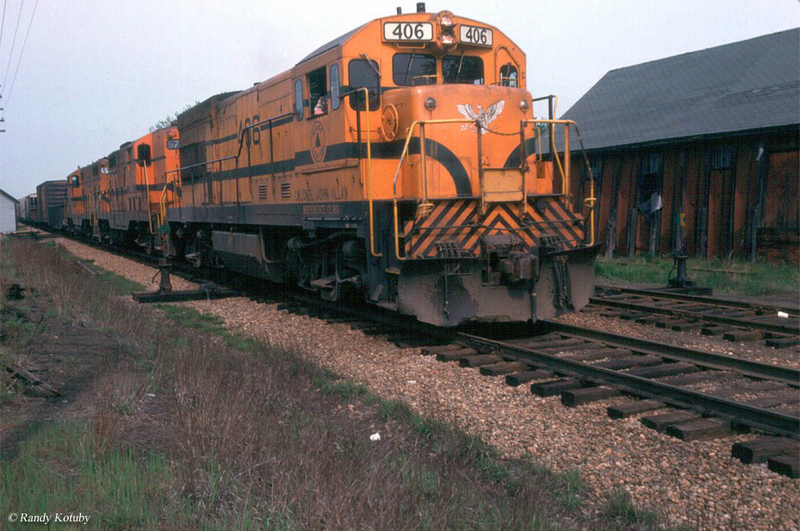 The MEC’s primary traffic base was held in agriculture (of note was potatoes, shipped in conjunction with the BAR), timber, and paper; a common trait for railroads of this region. 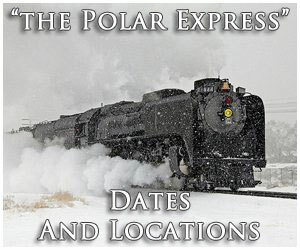 As previously mentioned, its Mountain Division and connection to the Canadian Pacific also provided for through merchandise and expedited traffic. For much of its life the MEC worked with or was under the influence of its southwestern connection, the Boston & Maine (also its link to the U.S. rail network). 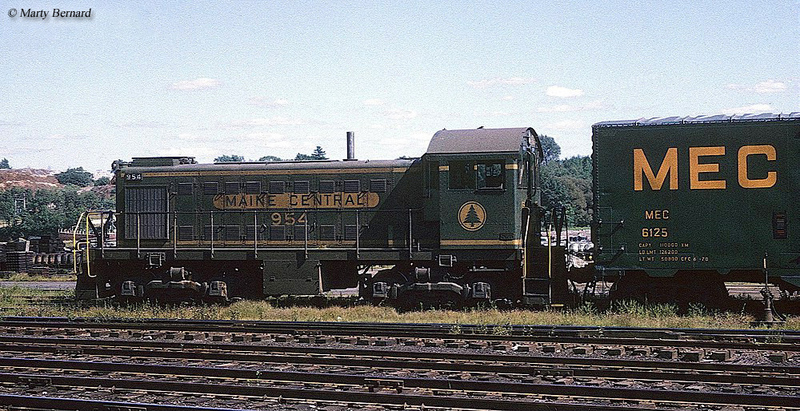 The B&M gained control in 1884 through its acquisition of the Eastern Railroad but the Maine Central had returned to private ownership by 1914. During the 1930s they again came together, although this time only as partners under a condition referred to as the "Cooperative Agreement" where common management operated both and headed by the B&M. From a publicity standpoint their greatest achievement was launching one of the country's first streamlined trainsets known as the Flying Yankee in 1935. It was virtually identical to the Chicago, Burlington & Quincy's early Pioneer Zephyr having been built by the same company, Budd. The train dazzled the public and had a number of different routings over the years whereupon the B&M would gain complete ownership. 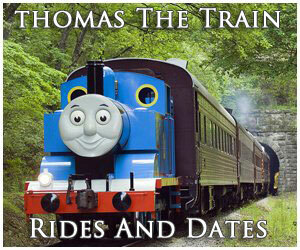 The train was discontinued after its final run on May 7, 1957. Soon after it was donated to the Edaville Railroad which used it as a static display until the late 1990s when Bob Morrell purchased the trainset, sent it to Woodstock, New Hampshire and determined to completely restore the streamliner. Later, The Flying Yankee Restoration Group, Inc. was formed and has been working to return the train to operation ever since. 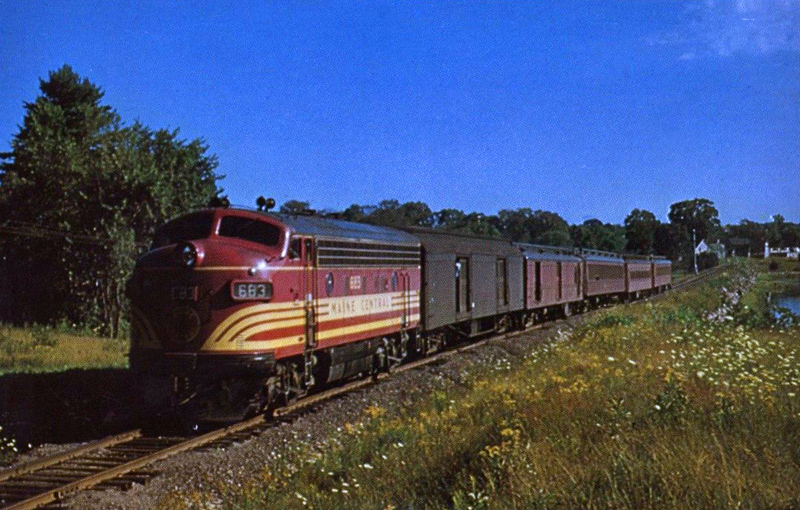 The Flying Yankee was MEC's best remembered service although the railroad participated in many through trains including the seasonal Bar Harbor Express (Washington - Ellsworth, Maine) and East Wind (Washington - Bangor, Maine) as well as the long-distance Gull which headed north from Boston and terminated at Halifax, Nova Scotia. This train operated over four different railroads; the B&M, MEC, Canadian National, and Canadian Pacific. During their time together the B&M and MEC operated subsidiaries outside of the rail industry such as the Boston-Maine Railways, coastal shipping, and even a bus service. 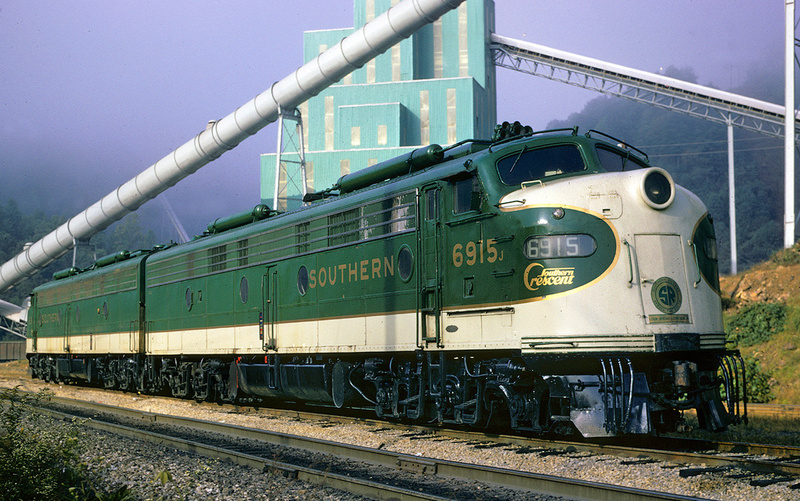 The two railroads continued their business relationship until 1955 when the "Cooperative Agreement" ended and they went their separate ways (ironically, they would be back together when Guilford purchased a controlling interest in the 1980s). Until the agreement was canceled the roads shared a similar paint scheme, a very attractive design of maroon with gold pin stripes that made it appear the two were under common ownership. Afterwards, the Maine Central would change its livery to an equally handsome look of deep forest green with gold pinstriping. Its new management team was led by Spencer Miller who focused strongly on customer service and spent heavily to upgrade the road in the postwar period. Until it disappeared into Guildford, MEC was an efficient and well-managed railroad. A similar situation came about on the nearby B&M during the 1970s when the moribund company saw a drastic turnaround under new management. In 1980 the MEC was acquired by U.S. Filter Corporation, soon after purchased by Ashland Oil who had no interest in the rail industry. This company soon sold the MEC to Timothy Mellon, founder of Guilford Transportation Industries. 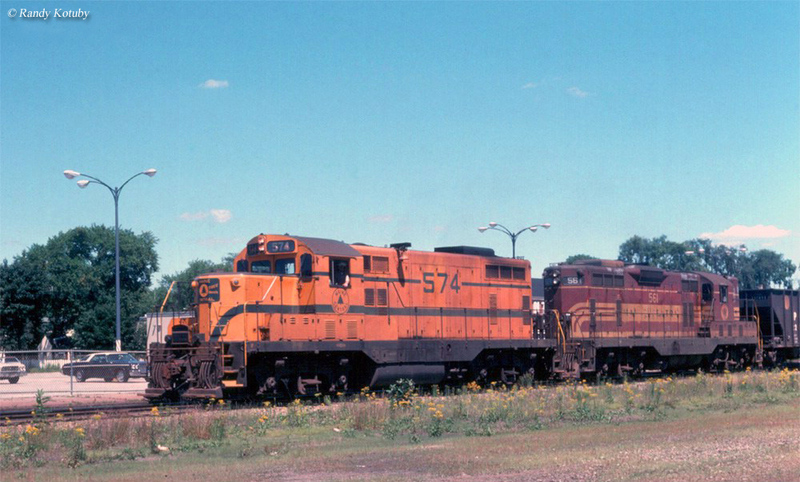 Mellon’s new system included a black livery with a bright orange trim and white lettering and sub-lettered his equipment to the owning railroad (such as the MEC, Boston & Maine, etc.). During Guilford’s ownership large sections of the railroad were abandoned or sold off as unprofitable. 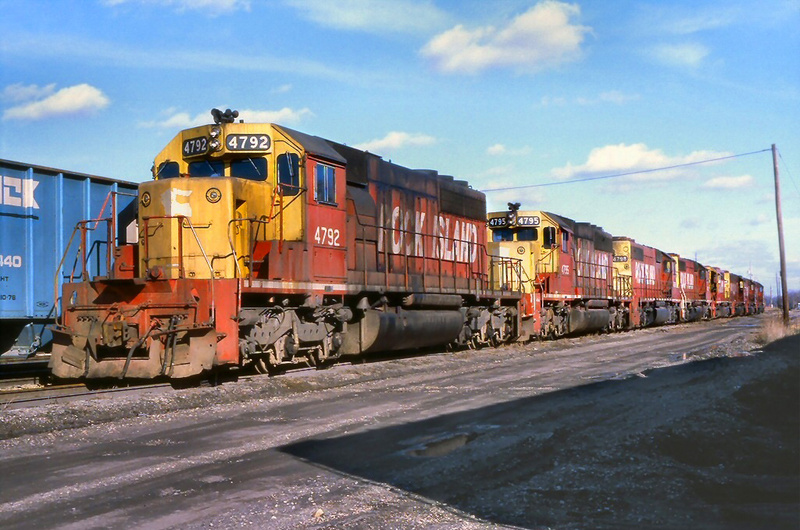 As the years progressed much of the two former allies’ rails, the MEC and B&M, were merged together (originally this also included the Delaware & Hudson Railway, which was let go in 1987 following bankruptcy). Unfortunately, Mellon had little understanding of railroad operations and was only after higher profits, however attainable, even at the expensive of alienating and angering his workforce. This meant the abandonment or sale of rail lines that many felt were still profitable, such as the Mountain Division. Guilford would later change its name to Guilford Rail System and today even that company no longer exists, dissolved in 2006 in favor of parent Pan Am Systems’ Pan Am Railways. Today the MEC is still officially on the books although it survives now mostly in name only. 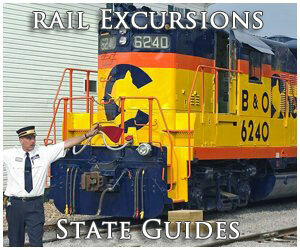 However, the railroad continues to live on serving its successor quite well, and other upstarts have taken over former portions of the railroad such as the Conway Scenic Railroad and Twin State Railroad, which operate sections of the old Mountain Sub. There is still much anger over the abandonment of so much trackage across New England.